At that time it took me quite a while to come to conclusion that she sew for her daughter. Oh I thought we can just buy in store those mom & daughter dresses, until I realise she had way too many of those pairs and they're just too 'custom made' to be store bought. Then I also notice another friend occasionally posted in her facebook, pretty dresses she made for her two daughters. 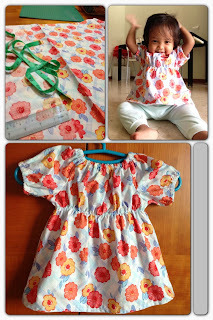 Imagine you can actually make your own/your kids' clothes, how cool is that! 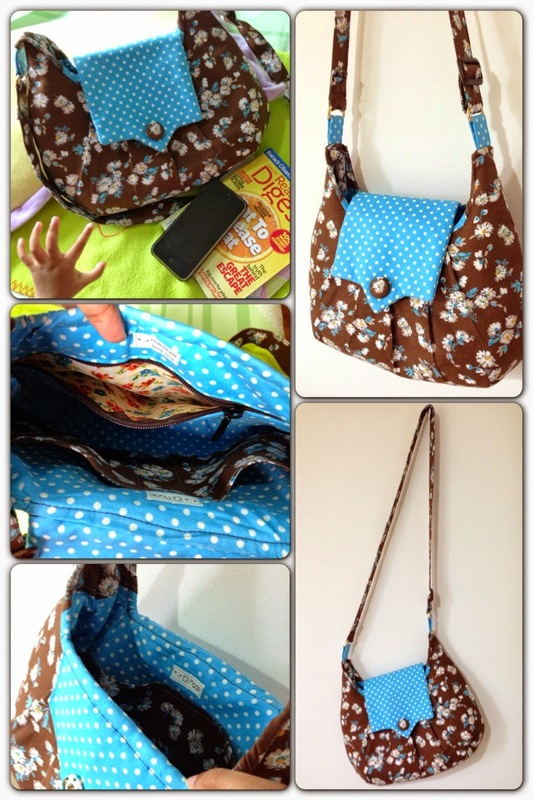 Not only dresses, at another times she posted some cute purses too. 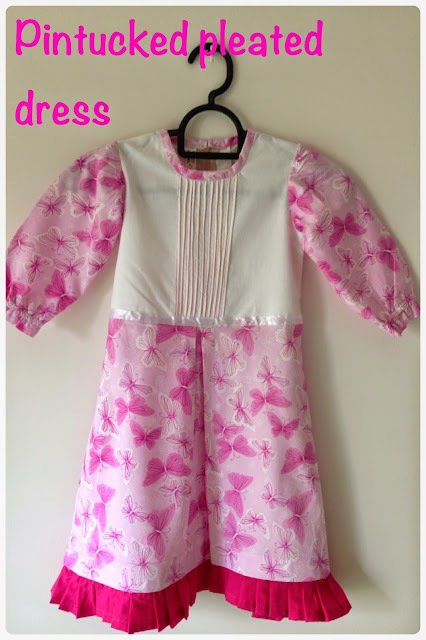 And then another cute dress for little girl (guess it's for a gift since her two daughters were already school age). Then another pretty dress for herself. Then another then another. I was like, OMG this is cool, OMG that one's so cool, OMG OMG!! So I wanted to learn how to sew. But I don't know where to start. Being a Google girl, of course I started to google around about sewing for beginner. But, you bet, it is a very vast ocean out there, and I was pretty quickly so overwhelmed with too many information. So I decided to ask my 'that' friend. 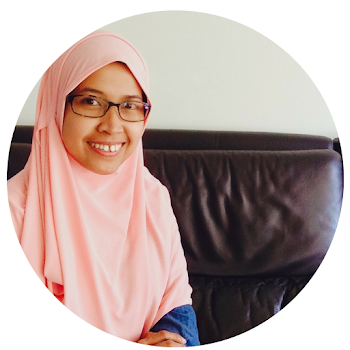 I still remember asking her a list of questions; whether I can start learning to sew by hand or if I should buy a sewing machine, how to choose a machine, where and what to buy for fabrics, what other tools I need to sew. Pretty quickly she answered all my queries, even invited me to come to her place so that she could show me how to play around with her sewing machine, and also how to read & follow a sewing pattern. Oh, I shall mention that hubby gave me approval on buying it with a condition; he wanted me to mend his five (or was it six??) denim pants. Ha! That's where I started my sewing journey. In fact it took me quite a while before I actually open the sewing machine manual. It was just somehow a bit 'scary'. So after I managed to take the leap to overcome my fear, and just-do-it, and made a pair of simple cushion covers, I.was.HOOKED. I kept looking for new project to sew, and new technique to try. I searched from sewing blogs and library books for anything sewing related. 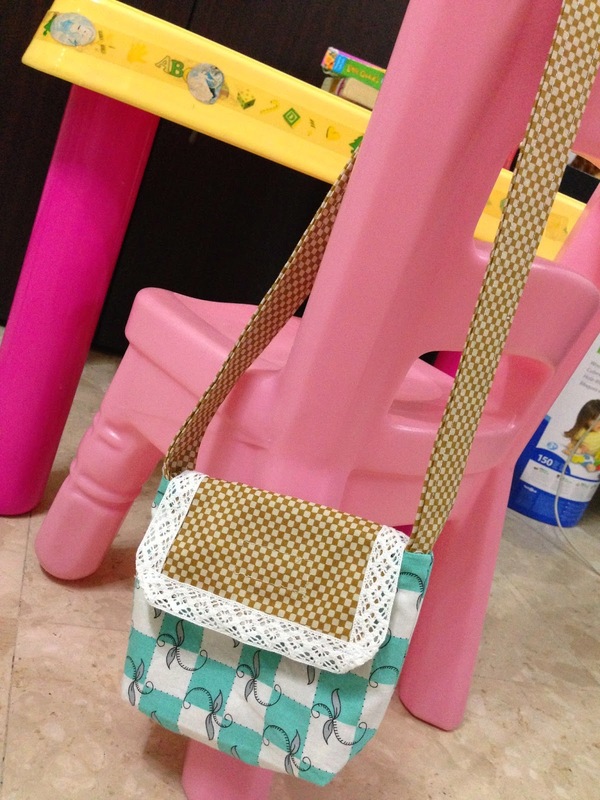 From kids clothing, purse, bag, plushies. Either I really attempted the exact same project, or just browsing through for new inspiration. Every time new item comes alive (well I mean, comes into the correct shape), I'm all excited. There's something about seeing a flat fabric morphed into a pretty shapely thing that I enjoy so much. I sew mostly for my daughter, another time for gifts, or for myself. I tried to take pictures of every thing I made, along with original online source I used if any (those coming from online tutorial), and keep them in my Pinterest board. Every time I went through the photos they make me happy, somewhat satisfying to see how far I've come from the first time I sew. I'm still sewing once in a while in my spare time now. But with an active toddler and a baby in the house, and no maid this time, I can only usually squeeze in some sewing time late at night, or around noon when kiddos taking nap. But seriously, just looking around inside a fabric store makes me happy. Especially those beautiful and cute printed fabric, they just come filling my head on what could possibly made of them. Do you have a creative hobby, as in 'to create' something? 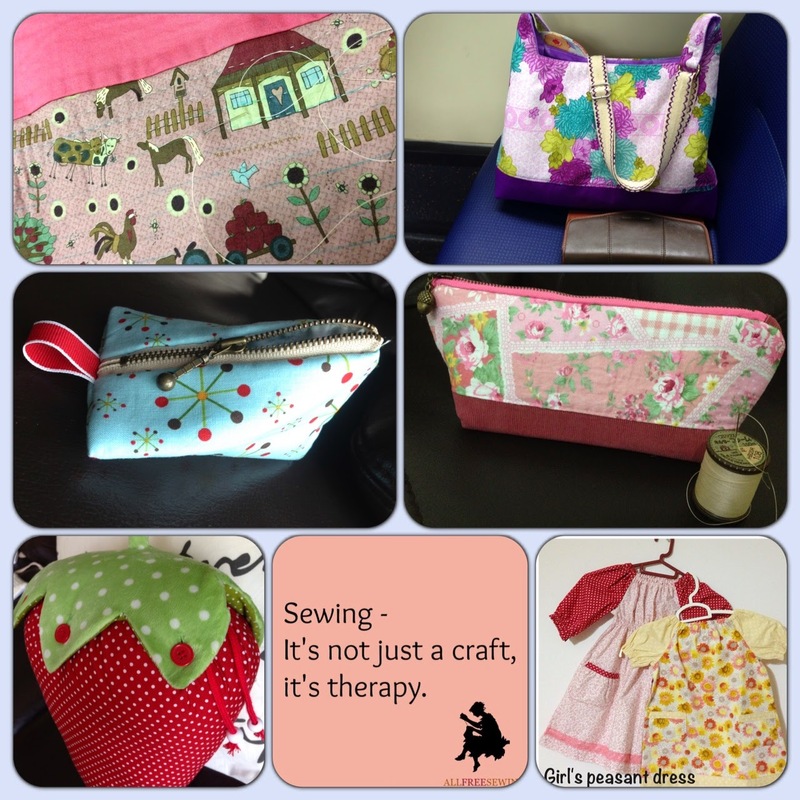 Do you sew, or just love crafting in general?